A good old fashioned 3 reel, 1 payline classic slot, Ace of Spades is another classic mobile slot from Play’n Go, with a high card theme. With a return to player rate of 95.94% if you bet at the maximum of 0.75, this will only go down to 95.87% if you don’t. Not a massive difference and only small bets makes this fairly average. If you wager the maximum and you manage to get all 3 aces in a row then you could win up to 625 coins. Which is the highest you can win on the mobile version of this slot. 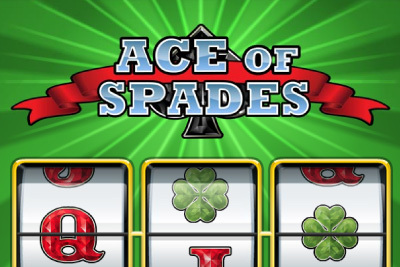 As Ace of Spades is a classic slot Play’n Go have not introduced any bonus games or features in to it. Instead they have stuck with the simple 1 payline and 3 reels to keep you entertained for a spin or two. Aces Symbol: Is a wild and substitutes any other symbol in the reel and doubles the win. Two aces quadruples, except when you get 3 aces which gives you a hefty 625 coins. Ace of Spades is an old fashioned classic mobile slot that contains familiar symbols, but with little pay off. For when you’re craving back to simpler times and simpler classic slots then this is right up your street, however there are other mobile slots with better payoffs out there.